Islami Dawakhana is located in Saddar Bazar, Abbottabad. 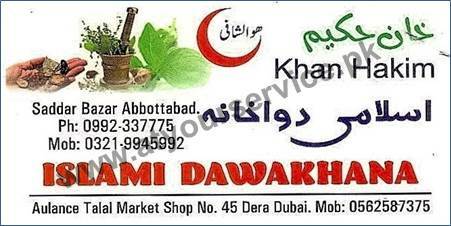 It sells all kind of herbal medicines. A qualified hakeem is also available.